As we know, Dragon Ball Super ended its first anime phase this weekend. The serie success has been news in many newspapers mainly after the 130 episode, penultimate of the season, which many cities of Mexico planned the public exhibition of the episode. Thousands of fans liked the idea and came together for watching this show! See the crowd that Dragon Ball took to the streets! Yeah… this episode caused confusion! Not among fans, but between Japan and Mexico governments. Many of these public exhibitions did not have Toei Animation authorization, studio that holds the rights of Dragon Ball Super. The Japan ambassador sent a letter to one of the Mexico states demanding respect for international copyright law. But, it was not enough! Most of the regions did not change their decision and trasmitted the episode. Few cities have negotiated with Toei and Crunchyroll and the exhibition were made legally. News spread so much that fans from Chile, Argentina and Brazil started asking for the public exhibition in their city as well. In Brazil, after some requests made over the internet, the last episode was showed in big screen in the cities of Boa Vista and Macapá. 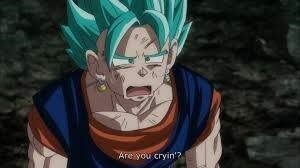 For our sadness, Dragon Ball Super has come to an end. While we wait, let’s keep spreading news about our lovely anime!